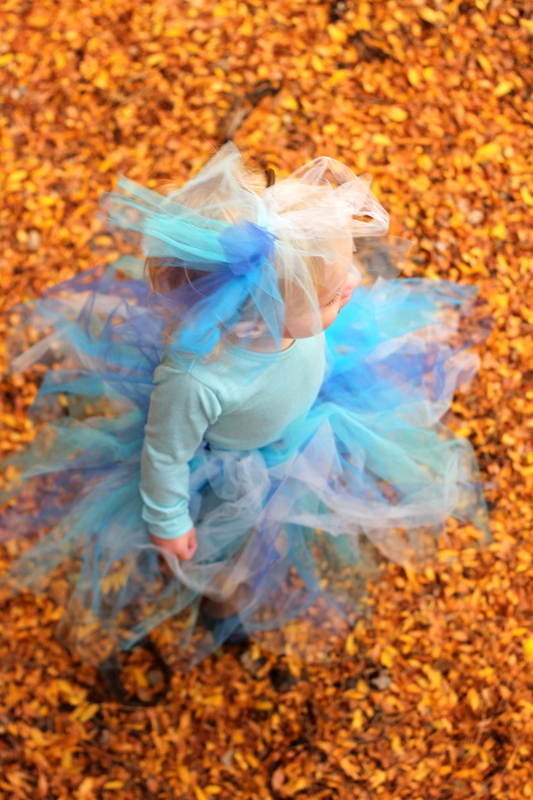 Piper Jane’s “ocean” costume is one big fluffy, tutu-y mess of blue. She adores her blue tutu (YAY!) 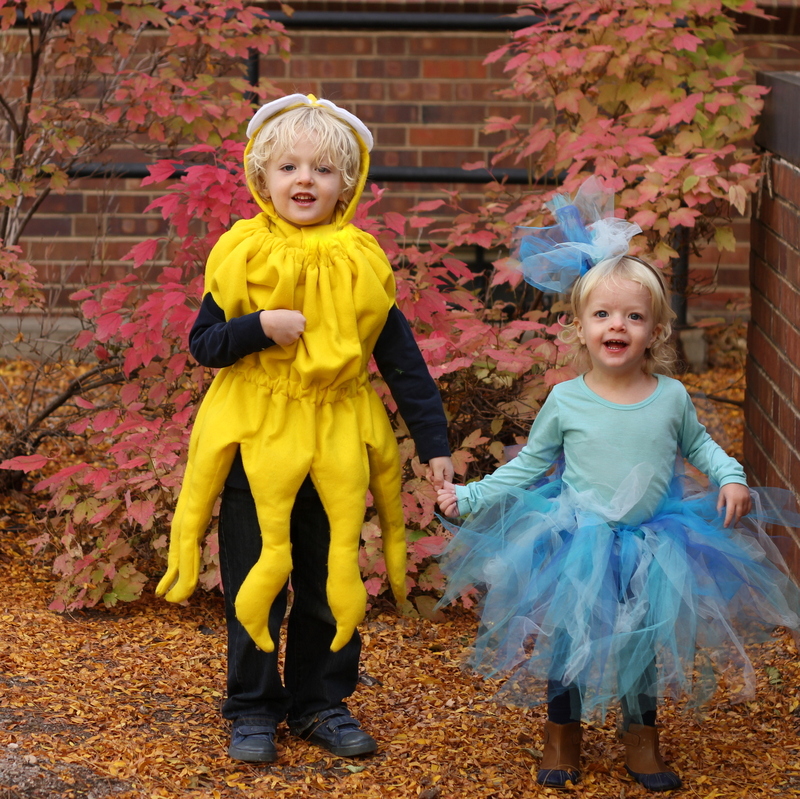 and can’t wait to be The Ocean alongside her Bubba’s Squid costume on Halloween. Best of all, her entire costume was completed in one naptime (with minutes to spare), involved no sewing (well, I sewed the waistband together, so minimal sewing) and looks great! Measure your little one’s waist. 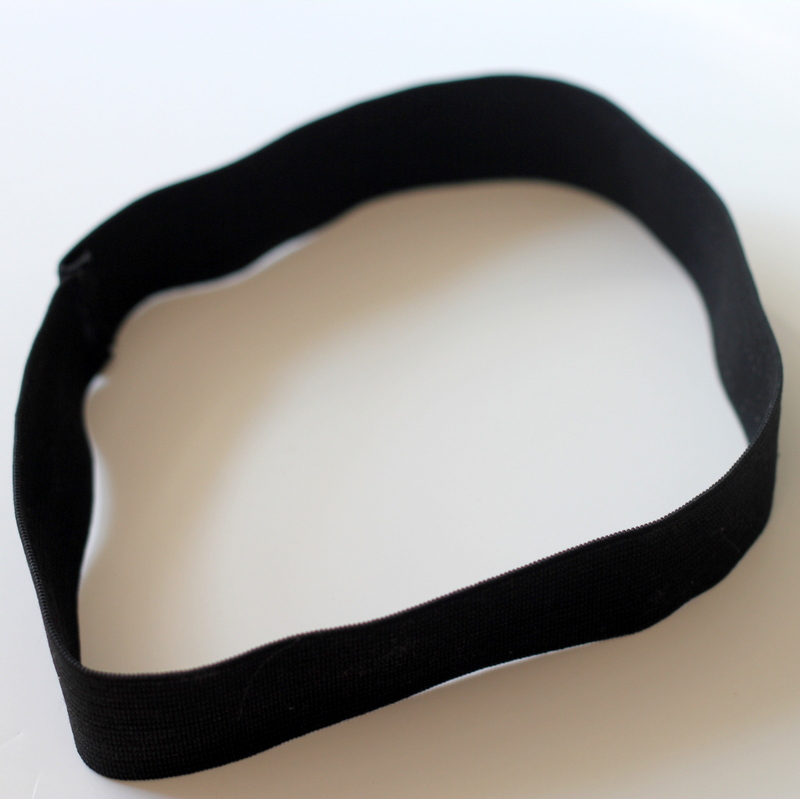 Subtract a couple of inches and cut a piece of elastic to match that length. Sew into a waistband loop and try on your little one to make sure it fits snugly around their waist (you could easily hand sew this part if you don’t have a sewing machine on hand… you could probably even hot glue the waistband together, in fact). 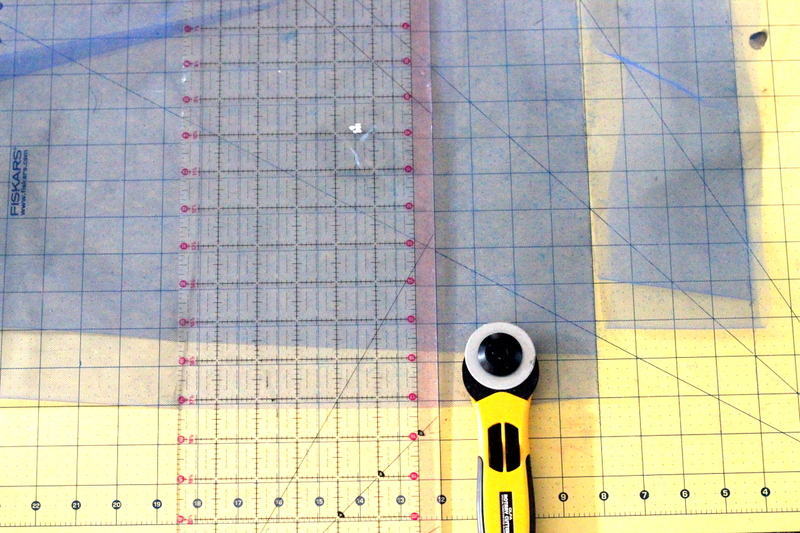 Cut tulle into 40”x5” strips. 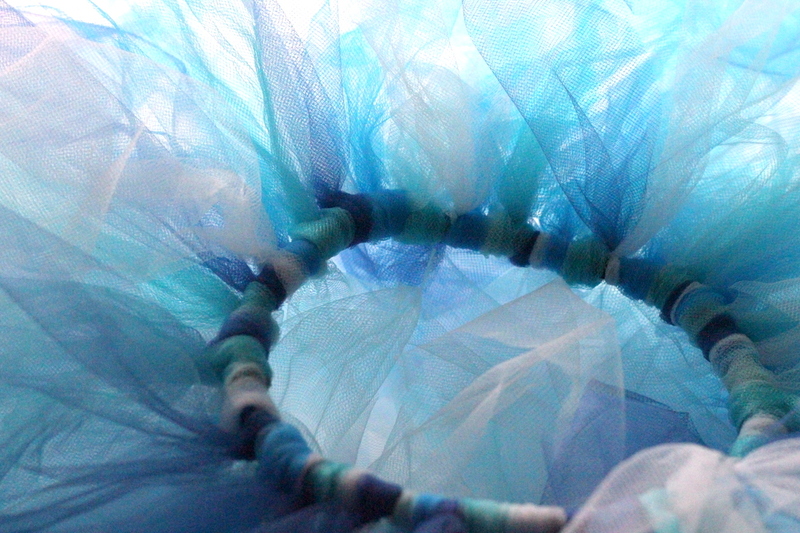 I used five kinds of blue tulle. 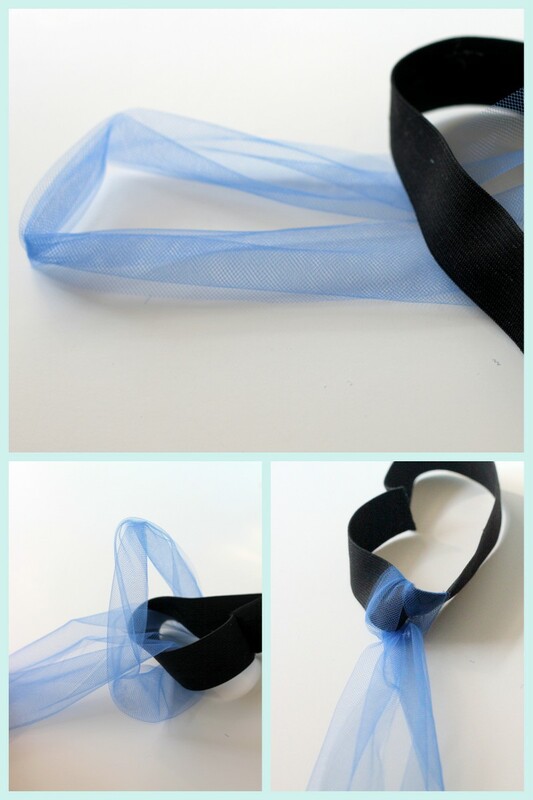 Fold the pieces of tulle in half. Line up the top loop right above the waistband. Pull the two ends through the loop and pull taut. 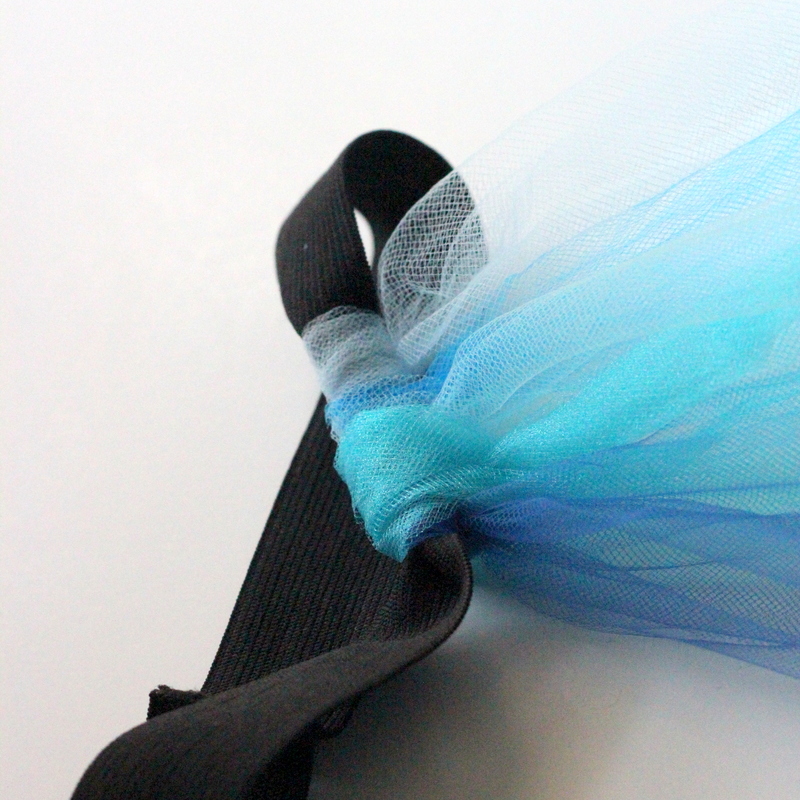 Continue adding tulle pieces until the entire waistband is full of fluffy tulle. And your tutu is done! Add a blue shirt, blue leggings, and a little blue headband with blue tulle ‘waves’ tied onto it and you have yourself one CU-UTE ocean costume. Cute! My oldest daughter is going to be fire for halloween so I thought I’d dress up the almost 2 year old as water. The different shades of blue you used are perfect. 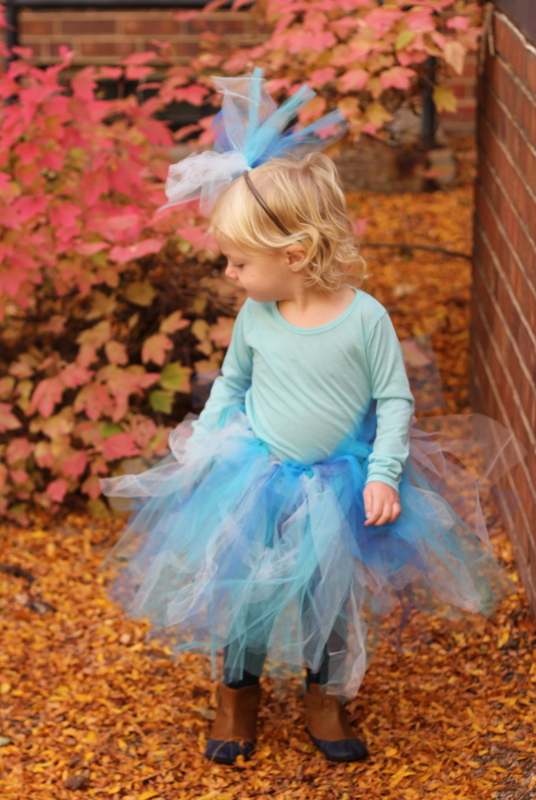 I’ve been trying to imagine a blue ‘watery’ tutu in my head so it was great to see a picture of a cute water themed tutu! 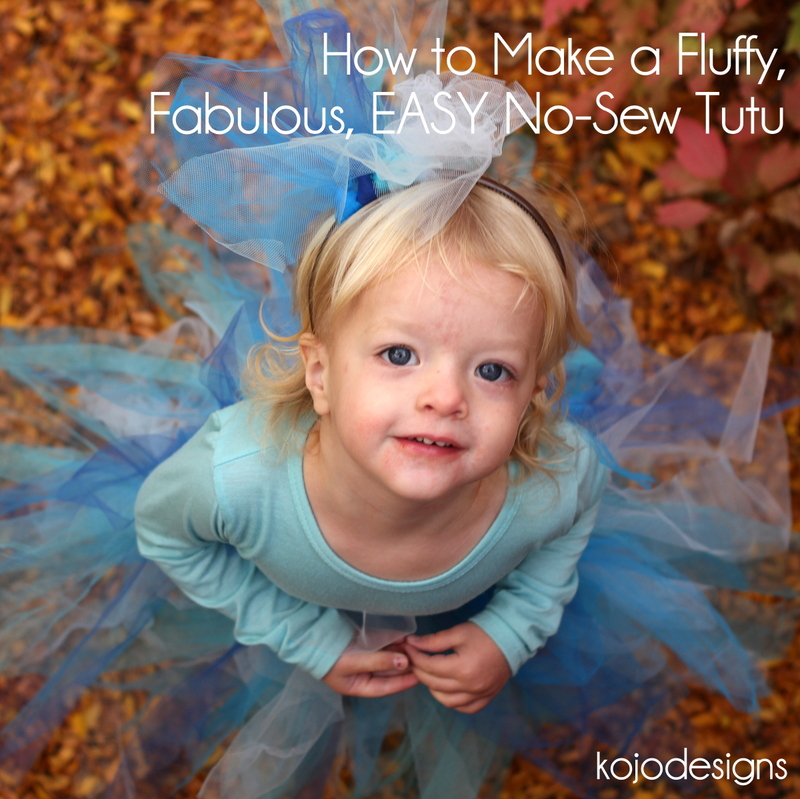 Wow – such a clever idea for a no-sew tutu. I just love the ocean colors, it’s absolutely adorable! Not sure if you’re interested, but there is a creative costume contest over at http://www.halloweenhero.com/costume-contest-2013.html and the grand prize is $250. 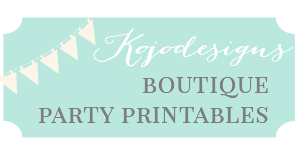 I thought you (or maybe even your readers) may like to enter. Anyway, thanks again for sharing this clever costume idea – it really caught my eye.